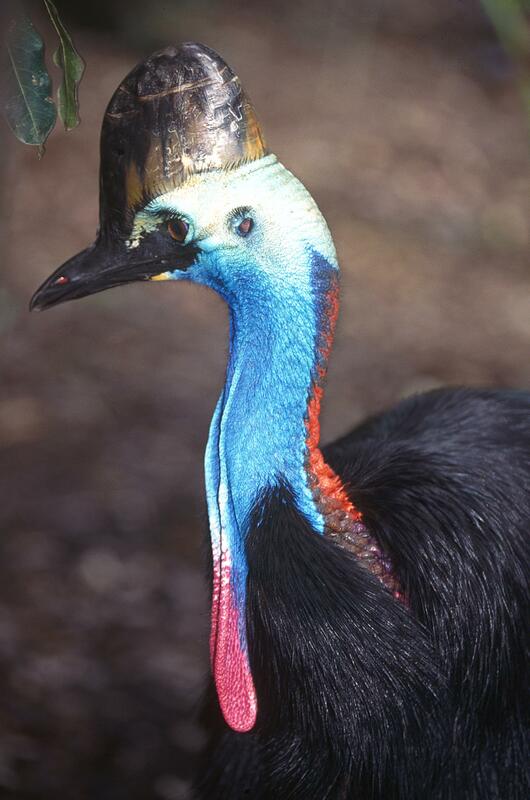 Scientific American published Inside the cassowary’s casque by Darren Naish on its blog on 15 February 2015. 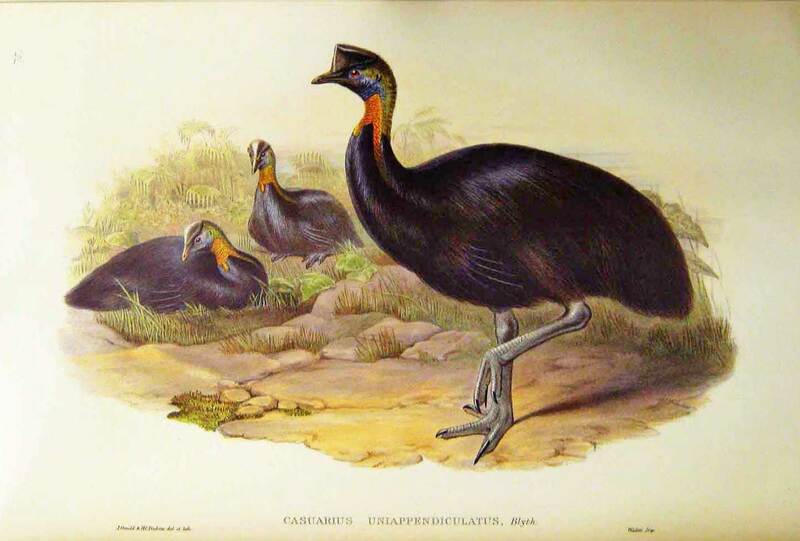 The article discusses the evolution of the various cassowary species and the anatomy of the cassowary casque and how it may be used. It emphasises that we still have a lot to learn about all these facets of cassowary research. The Australian Veterinary Journal has published a paper on successful methods for cassowary immobilisation, restraint, transport and satellite tracking. 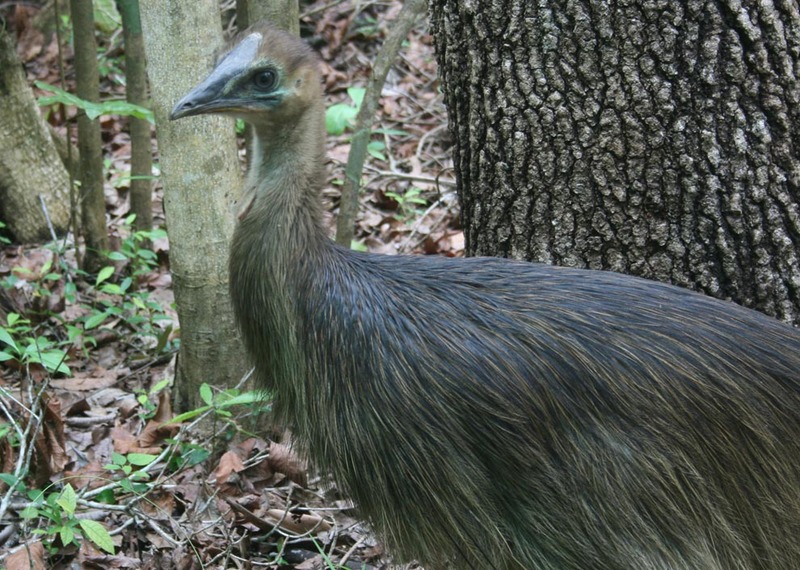 The paper outlines the use of anaesthetics for safe handling of adult and juvenile cassowaries taken into captivity and released back into the wild. The paper also details safe ways to transport cassowaries and to attach satellite trackers to monitor their movements after release back into their natural environment. Monitoring indicates that the released cassowaries suffered no behavioural ill-effects from the chemical immobilisation, restraint or transport. The cross marks the spot for needle entry for the anaesthetic. This is one of the first studies to use satellite telemetry to monitor the movements of a free-ranging large ratite. 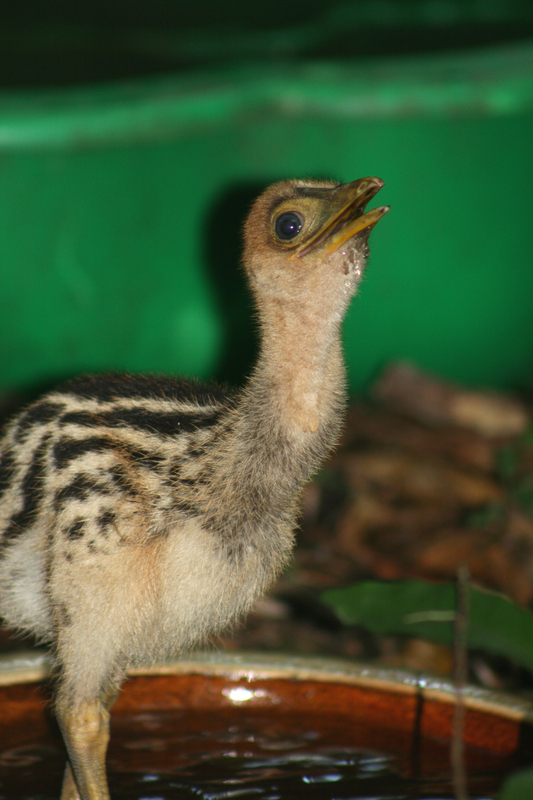 Future monitoring of released cassowaries can help to tell us a lot about their movements and behaviour. Longer term satellite studies are required to assess if the birds successfully locate and establish a home range and develop into breeding adults. The authors of the study are Hamish Campbell (UNE), Ross Dwyer (UQ), Scott Sullivan (QPWS), Dan Mead (QPWS) and Graham Lauridsen (Tropical Vet Services, Tully).